How quickly a whole year passed! Ahead of us is the celebration of the New Year and Harley needs to prepare for this. She worked so hard that she ran her face and didn’t take care of herself at all. In this Harley New Year New Me game, you can help the famous hooligan prepare for this cool party. After all, who wants to be not very beautiful in the New Year? Therefore, let us extend a helping hand to our beauty and look after her appearance. As the game begins, you will need to tackle her face. First, clean it, then apply foundation, and then you can do a bright makeup. Hair has always been a trademark of Harley, and therefore you will also need to bring them in order. Wash, dry, pack and paint them. Next, take a look at choosing a festive outfit for Harley. Choose something to your taste or what the heroine of the game likes to wear. As you know, this game is from the game for girls make-up category and therefore I suggest to follow the link there. There you will find a huge number of games that you really like. 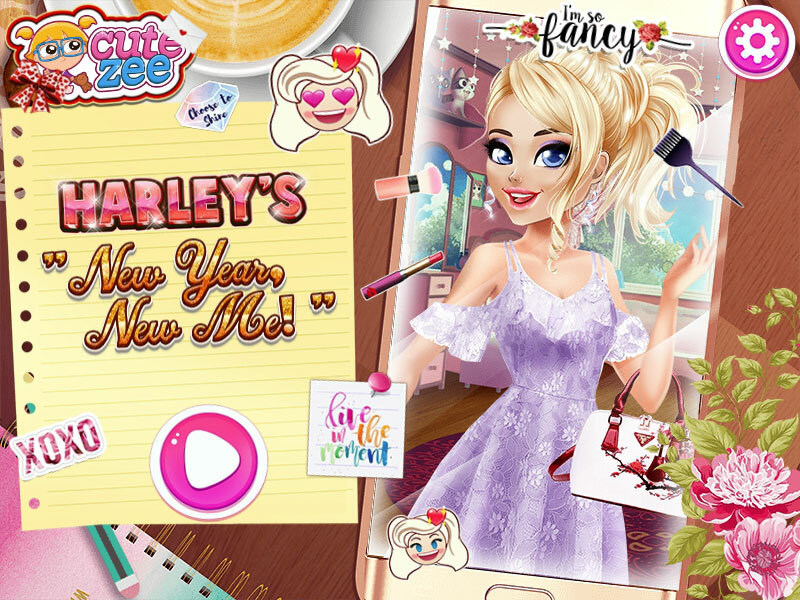 Harley New Year New Me make up game.